Trump’s complaints about the Federal Reserve head indicate a flawed understanding of how the economy works, say experts. After the Federal Reserve this week approved another rate hike, President Donald Trump has apparently doubled down on his criticism against Fed Chairman Jerome Powell, telling advisers this week he would like to fire the Fed head — an authority the president does not have — according to one report. 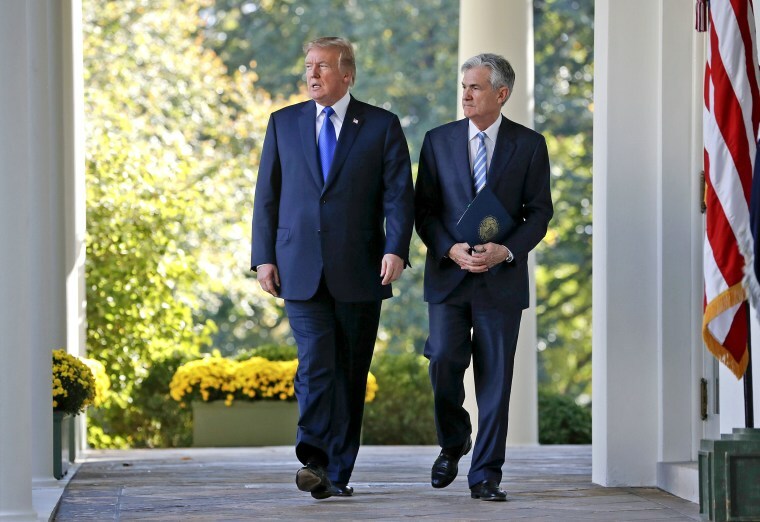 Economists say Trump's assessment of Powell's performance is, at best, a mischaracterization and, at worst, a deflection of the damage Trump’s own worst impulses have inflicted on the market. In reality, the Federal Reserve's relationship with the stock market is more nuanced than this criticism would indicate, and economists say Trump’s complaints about Powell represent a flawed understanding of how the economy works. While Trump characterized the Fed as a “bigger problem” than China, economists say the president’s own unpredictable and sometimes bellicose approach to America's trading partners is one of the worries that has sent investors fleeing in recent weeks. Of course, given the significant role consumer spending plays in the U.S. economy, successfully executing these two mandates plays a big role in the rate of economic growth. The benchmark Dow Jones Industrial Average tanked on Wednesday as Powell gave a press conference following the Federal Open Market Committee's decision to approve a fourth rate hike this year. His comments prompted broad selling on Wall Street because investors worried rates would go up faster than expected in 2019. “The stock market is overly focused on the Fed,” Petrou said.